It’s barely spring and we’re already ready for summer. Sure NYC is hot and humid even before heading underground to catch a subway. But there’s a light at the end of the tunnel other than the delayed L-train. Rooftops! Fresh air, great views, and a chance to escape the summer streets– who can argue with that? Whether you’re looking for a happy hour, a long weekend brunch, or a romantic view, there’s a city rooftop with your name on. Start with the gems we’ve discovered and let us know when you find another one worthy of adding to the list. 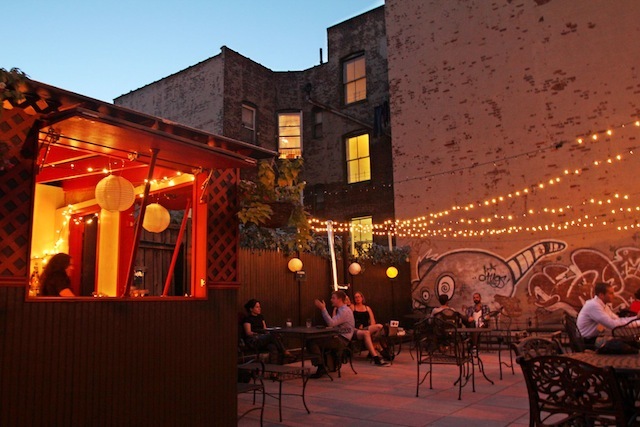 Sure Williamsburg may be a bit of a trek if you’re not already in Brooklyn, but it’s worth it. If you’re looking for a unique, fun, and reasonable happy hour, then look no further than Night of Joy. Their $6 specialty cocktails, including their orange blossom rum lemonades are only a $6 steal. Enjoy! Sure the Lower East Side is full of boozy brunch spots but we think Hotel Chantelle is head and shoulders above the rest. First off, it’s on a roof! And it’s retractable so you can get that outside feel even if the weather won’t cooperate. They occaisonally bring in some jazz to accompany your fresh lox (from Russ & Daughters) and goat cheese crepe. But if you’re worried about this place being out of your price range, don’t. All of their brunch cocktails are an absurd $0.92. Imagine the damage you can do with only a five dollar bill. The Gothamist describes Le Bain as the best bar to both take your mom on a Saturday afternoon and meet a naked model on ecstasy. 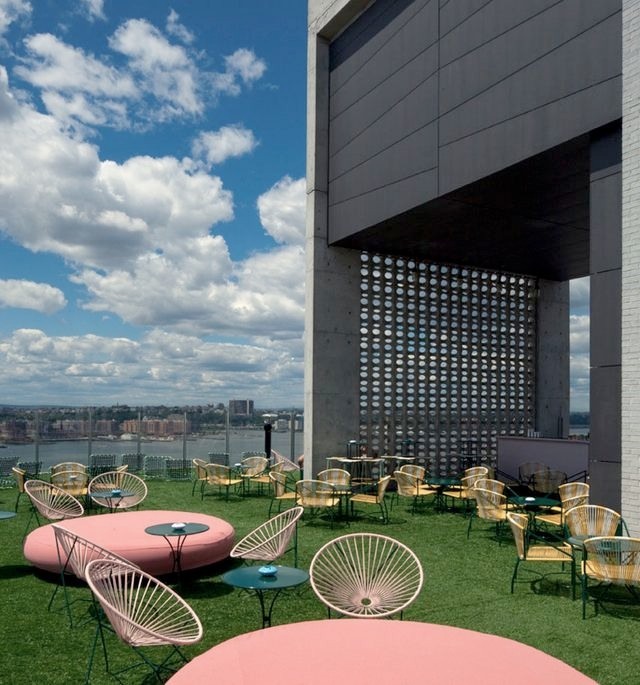 While we don’t have much experience with the latter, or a full understanding of how those two worlds could possibly mix, we know all about the rooftop at The Standard. Whatever excuse you can come up with to go, count us in! What did we miss? NYC is a big city with plenty of hidden gems. 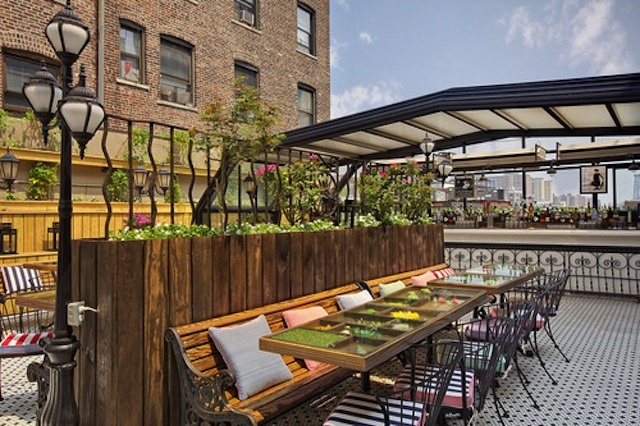 Help us out by commenting or tweeting your favorite rooftop venues @squadup. I simply had to say thanks all over again. I do not know the things I would’ve gone through in the absence of the actual advice documented by you relating to such situation. It previously was an absolute horrifying crisis in my position, but witnessing a new well-written style you solved the issue made me to leap with fulfillment. I am grateful for the information and even have high hopes you are aware of a great job you have been undertaking educating other individuals via your web site. Most probably you have never got to know all of us.